According to The Hollywood Reporter, actors Chris Pine and Chris Hemsworth have walked away from Star Trek 4 as talks have fallen through. The outlet claims that talks ultimately broke down due to money as Pine and Hemsworth wanted the studios to stick to their existing deals for the project. 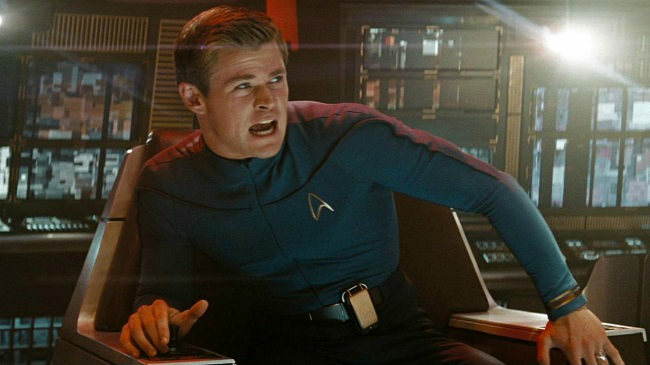 However, it appears Paramount is now going back on those apparent deals in order to try to reel in the budget, as the Star Trek franchise doesn’t perform nearly as well as either actors’ retrospective DC or Marvel projects. Hemsworth is in these movies? Tyler wrote: Source of the post Hemsworth is in these movies? Yeah, they brought him back for this movie. I don't know the whole story on how they were going to bring him back as he was killed in the first 15 minutes of the first JJ Abrahms Star Trek movie. But they had some crazy ideas. I'm sure they will turn this around, Paramount would be stupid to try to recast them. purple_hayes wrote: Source of the post Yeah, they brought him back for this movie. I don't know the whole story on how they were going to bring him back as he was killed in the first 15 minutes of the first JJ Abrahms Star Trek movie. But they had some crazy ideas. I'm sure they will turn this around, Paramount would be stupid to try to recast them. Ahhh. So out of the (3?) JJ movies he was only in the first 15 minutes of the 2009 movie? I don't remember that at all, but I also probably didn't know who he was since Thor came out 3 years after that. Tyler wrote: Ahhh. So out of the (3?) JJ movies he was only in the first 15 minutes of the 2009 movie? I don't remember that at all, but I also probably didn't know who he was since Thor came out 3 years after that. Yeah, he dies giving his life to save the escape pods from the evil Nero. Nero attacks while James T Kirk is being born. Never saw the 3rd one but bummer. These were fun. Seems like it's all about paying the big stars the big bucks.